So you’re set on going to Guatemala? 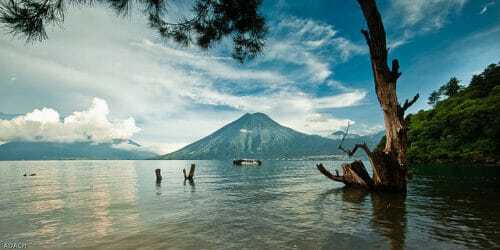 Planning to hike near volcanoes, swim in Lake Atitlan or roam the markets of Chichicastenango? Hoping to be inspired by gorgeous hand-woven textiles, ancient architecture or the enduring mystery of Tikal? My advice? Eat tons of plantains—fried with black beans and rice. Dance to music played by street musicians near the fountain in Antigua. If you’ve got a few days to spare, take a ride to Laguna Magdalena (Lake Magdalena) and jump into the cold, turquoise water. And, last of all, learn some “street talk” to converse with the locals. Include some of these slang words and phrases in your language-learning routine (and pack them in your suitcase) in order to get the most out of your time in this Central American country. At last count, there were nearly 17 million people living in Guatemala, so that gives you plenty of opportunity to try them out! Why Incorporate Guatemalan Slang into Your Speech? Oh, a couple of reasons. First, Spanish is spoken by over 400 million people worldwide and is the official language of more than 20 countries. With all that Spanish being spoken, it’s no wonder every country has their own slang. Guatemala, referred to as “The Land of Eternal Spring,” is no exception. You might already be confident in your Spanish skills and know some super cool phrases, but we all know that sometimes that’s not enough to ensure clear communication. Those of us who’ve learned a second language understand the difficulty of trying to translate a word or phrase literally and all the problems (and embarrassing stories) that come with it. Adding these words to your lexicon will significantly decrease the number of possible misunderstandings you might have during the first few days of your visit. You’ll also make your experience abroad much more authentic. With only a few words or phrases you’ll be able to take your Spanish speaking skills to a level that’ll make locals wonder if you were born in the next town. Learn these and you’ll be well on your way to talking like a native! In this post, we’re presenting some of the most common words and phrases you’ll hear on the streets (and in the bars) of Guatemala. The “official” Spanish word for a person from Guatemala is Guatemalteco but the term is rarely used outside of textbooks. Instead, Chapín refers to a Guatemalan male and Chapina to a female. No, don’t go to the eggs (which is the literal definition of this phrase). That’s not what a huevos means—at least, not if you’re chatting it up in Guatemala. I know, it sounds a bit confusing, but bear with me. Pretend you’re having a conversation with a native Guatemalan and you’ve just said something completely logical, expected even. The reply you’ll get? A huevos. Literally, the word translates to English as “thorough,” but in Guatemala it’s used much more loosely. You use this word to say something is cool, or that it exceeds your expectations. Complimenting an event or meal is a sure way to make new friends, so use this word often. This is a case of slang turning a word around because it derives from cálido, meaning “warm.” Don’t try to figure it out, just run with it. You might also hear the word in a greeting like “¿Qué tal, cerote?” (What’s up, dude?) Depending on the situation, it’s either friendly or insulting, so be aware of what’s happening when you hear the word! Of course, its literal translation is “water,” but when you hear it spoken loudly it means that danger is approaching. The warning could help save you from injury, so pay attention and get out of the way! This is another way of expressing appreciation, so if you like what’s being suggested, just use this word! It’s sure to get you a smile from anyone who hears you say it! And this is one that has lots of related meanings such as “awesome,” “pretty,” “good” and—well, you get the idea. This is an all-around chilero word to have in your lingo library! This is a slang expression for “cash,” so if you’re going for a bite to eat or plan to catch a tuk-tuk (mototaxi), be sure you have some pisto in your pocket. When faced with an event that’s kind of a drag, locals often say, “Ser muy viernes.” Literally, it means “It’s so Friday,” but it’s understood that Friday means old or something that’s dull. Very useful! This word literally means “nail.” For whatever slangy reason, it’s the word commonly used to declare there’s a problem. I’ve heard it on the brightly-colored “chicken buses” that you see all over Guatemala. You’ll hear it in lots of different contexts—politics, personal, job-related—the expression applies to everything. So, literally, the word means “dog,” but it’s used to refer to a greedy person. For example, if someone tried to overcharge you on a job or at the market, you would call that person a chucho. In this instance, it’s a little derogatory—but sometimes it’s a term of endearment! Be sure to heed the context—just goes to show that sometimes a dog is more than a dog! You have to know before you go that the chicken buses in Guatemala are the workhorses of the transportation system. They’re everywhere, and, very often, have ornately-painted female names above their windshields. More often than not, you’ll hear one of them referred to as a burra (from the word burro meaning donkey), but this is actually the word for any type of bus, chicken or otherwise. Guatemala is an enchanting country, filled with incredible people who have a very definite method of expressing themselves. Fitting in is fun and easy—if you can get these basic slang words under your belt and use them! Blend, explore and chat up everyone you meet and soon you’ll be hearing your new friends say, “¡Qué chilero!” when you pass by!